We can offer you three different types of cabins from free standing ensuite cabins with verandahs to low cost standard cabins. 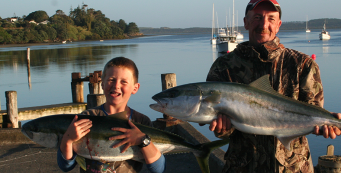 All our cabins have grassy areas in front ideal for boat trailers etc, and children playing. In our free standing self contained cabin you will find a fully equipped kitchen, table and chairs, TV, en-suite shower & toilet. 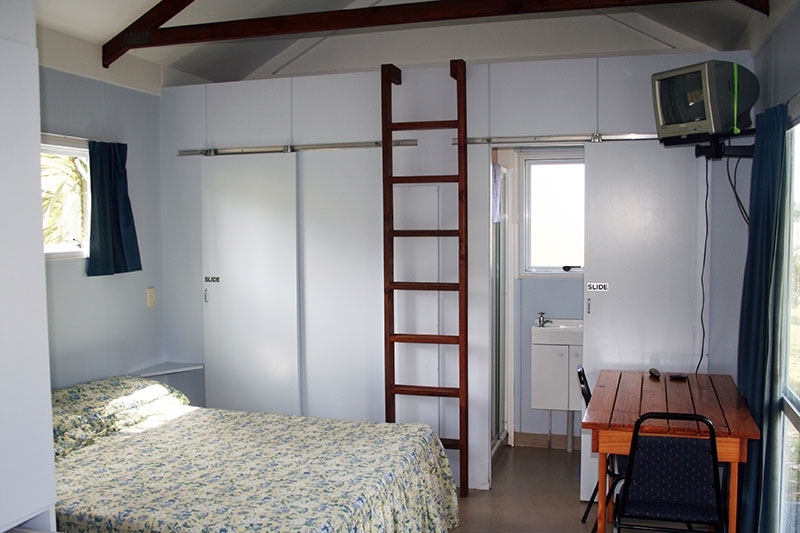 There is a queen, two single bunk beds and a loft with two mattresses (ideal for children). All beds have pillows and bottom sheets with mattress protectors (duvet and towel hire available or bring your own blankets or sleeping bag). 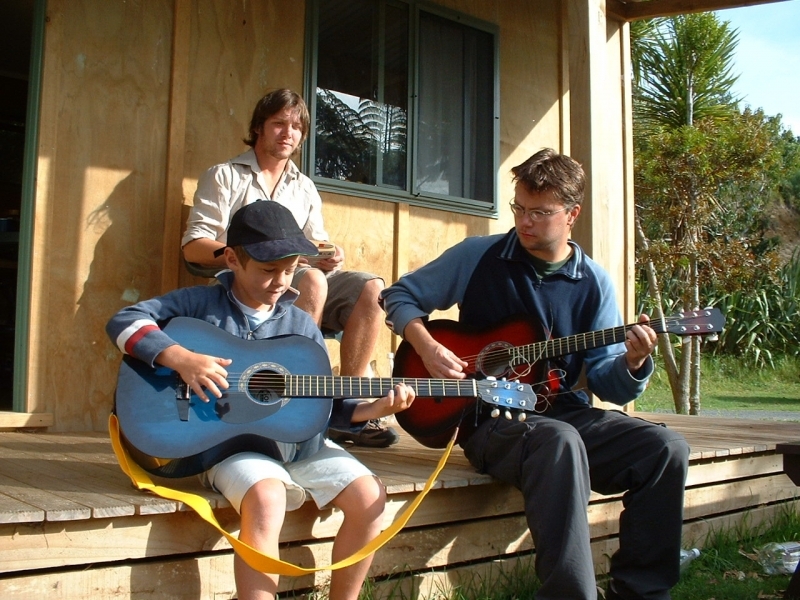 The verandah is a popular feature. 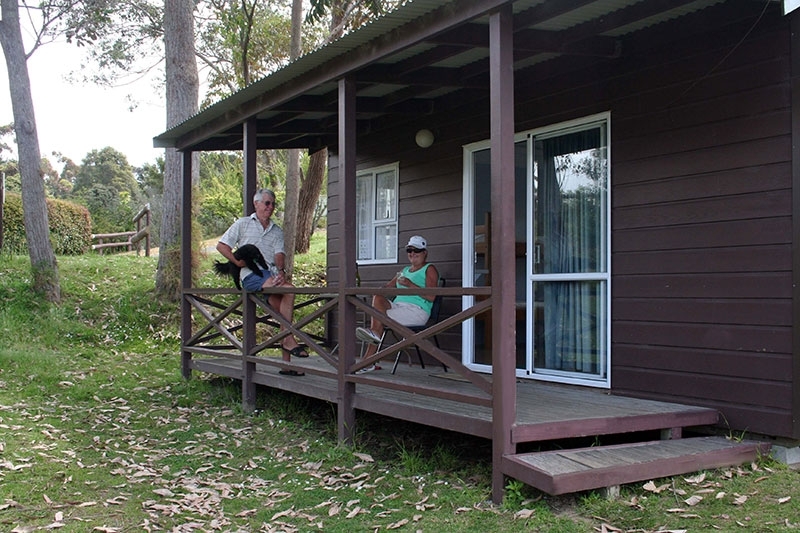 This free standing cabin with verandah has a fully equipped kitchen. There is a queen, two single beds with pillows and bottom sheets with mattress protectors (duvet and towel hire available or bring your own blankets or sleeping bag). Use adjacent shower and toilet facilities. Have one double bed and 3-4 singles with pillows and bottom sheets with mattress protectors (duvet and towel hire available or bring your own blankets or sleeping bag). 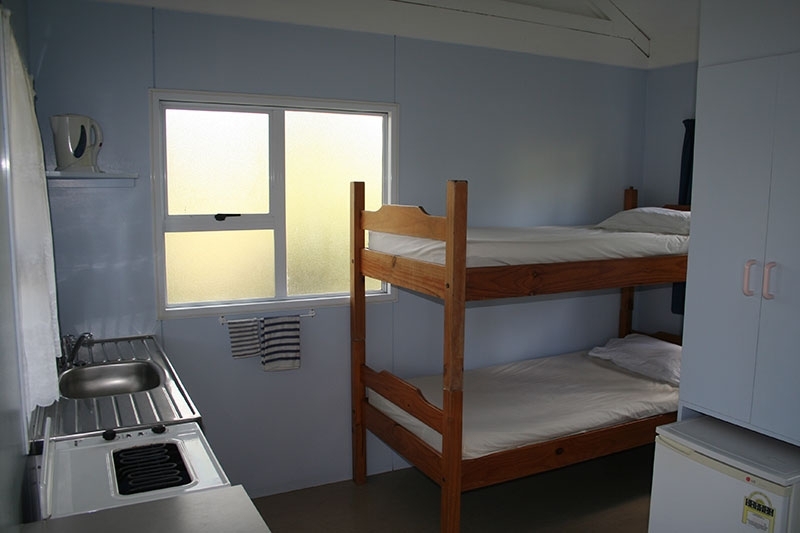 Cabins include kitchenette with cutlery, crockery, kettle, toaster and fridge. Use main kitchen for cooking, and holiday park showers and toilets.